We are the strong partner by your side! No matter if print, fashion show, shooting or film production - thanks to our enormous database but also diligent choice when recruiting personnel, we are confident to find the perfect model or host for your individual project. Looking back at a long history of successful years within the model business, our longtime experience is still no reason for us to get old. We are always keen to stay up-to-date and provide tailor-made services with innovative ideas. Despite our longstanding experience, we do not stagnate: Success- and trend-oriented, we guarantee a tailor-made service with innovative ideas. Our models can do more! Besides classic model jobs, such as photo shoots and fashion shows, they also promote companies or products as Facebook, YouTube or Instagram Influencers. This does not only open up new career possibilities for the models – your company can benefit from Influencer Marketing as well! YouTube, Facebook and Instagram Influencers are promoting efficiently for you, directly reaching and appealing to your target group! As the influencer Agency Berlin, we make sure you have the matching testimonial by your side for your next project. Important when cooperating with Social Media Influencers is not only the reach of the certain Influencer, but primarily the interaction between your brand and the respective model. Authenticity is the key, because otherwise this form of marketing would not work. Whether you book an Influencer from Berlin or from other parts of Germany is irrelevant in most cases, as the internet has not local boundaries. That is why you can book Influencers not only from Berlin, but also from all over Germany with our Influencer Marketing Agency Berlin. Contact us and we will find the perfect testimonial for your Influencer Marketing campaign! From fashion show to fair appearance - exceptionality guaranteed! Average is not enough: Therefore, we are constantly eager to go the extra mile and exceed expectations. The variety of individual characters within our extraordinary model base certainly is a big advantage here. No matter if men, women, best ager, tattoo-, fitness- or plus size models – our Model Agency Berlin represents each style and will therefore contribute to your promotional success! Did you know? As various as our models are our services. We take care of mostly everything, starting from professional job placements for trade fairs and commercial shootings fashion up to the A to Z organization of fashion shows. Not only in Berlin, but also Germany-wide! We are nationwide recruiting and mediating high-class models, hostesses and grid girls to provide our services to clients in nearly every German city such as Potsdam, Dresden or Leipzig. You can rely on our experienced services in mediating the perfect fit for your job offer. The charming, eloquent and competent hostesses in our model pool are the key to your successful presentation at fair trades and promotion events! As experienced Fair Hostess Agency in Berlin, we do know about the specific requirements for fair hostesses and promoter jobs. This leads to a thorough selection of characters and personalities who have a lot more to offer than just a neat appearance. For instance, a confident and open manner as well as distinctive communication skills are equally important to us. As your Model Agency Berlin, it is our top priority to find the ideal model or hostess for your individual commercial, beauty and fashion project. Being aware that each job is different and every costumer unique, our reliable team of bookers is always looking out for full compliance of your ideas! Efficient and structured organization combined with high standards regarding work ethic are our greatest strength in the game. As an example, many of our personnel is fluent in various foreign languages to ensure a satisfying match even for our international clients. You are searching for the right model for an advertisement shoot or movie production? Many of our models have different qualities to benefit your campaign for example with dancing and drama experience. How do I become a model at Model Agency Berlin? New Faces are continuously sought-for by our Model Agency Berlin – classy or extraordinary, every look is welcome! If you are a Newcomer to the model business or already an old hand, looking for part-time or full-time vacancies – with our Model Agency Berlin you can rely on proficient support in any case! What are the requirements? Well, since a big deal of your future job as a model or hostess comes along with being in the focus of attention you should not have a problem attracting people and arousing interest. Furthermore, self-confidence, charisma and a team-orientated manner contribute to your model success in Berlin next to a friendly character and appealing look. Sounds like you? Then take your chance and register in our online database – simple and free of charge via our online application! You would love to job as a model or hostess but Berlin is not your city? No problem at all. Our Agency is constantly searching for new faces in cities all over Germany e. g. Potsdam, Dresden or Leipzig! Berlin has made its way up to the international fashion olympus and is nowadays mentioned in line with NYC, Milan or Paris when talking about the latest fashion trends. Due to its reputation as a stylish and creative base for artists of each kind, the German capital is not only home to an international artist scenery but also a favorite spot of many blogger, social media stars and new talents within the fashion scene. The city earned its status as fashion metropolis on the one hand through many famous designer and labels arising from Berlin’s fashion scenery such as Wolfgang Joop or Kaviar Gauche. On the other hand, the annual Berlin fashion week is an international spectacle, resembling Berlin as a mecca for fashion addicts. 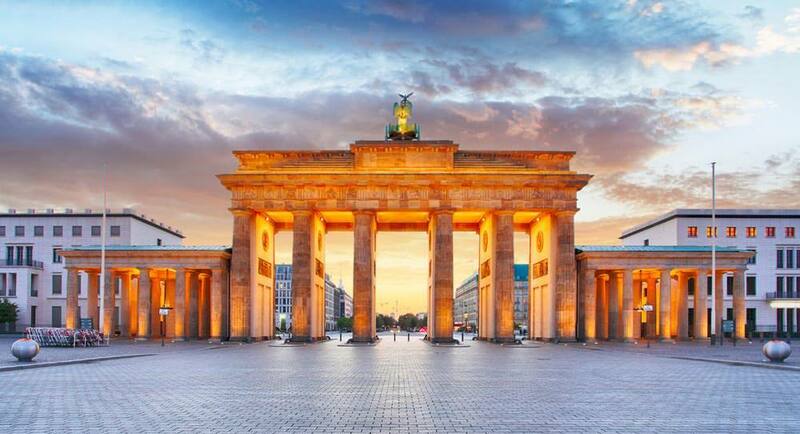 Overall, the german capital represents creativity, open-mindedness and freedom, wherefore the exceptional fashion sector is probably Berlin’s most important economic factor. You're looking for models or hostesses ? Want to work as a model / fair hostess ?